New box cover art by Ross Grams and some component and design changes. Larger (23″ x 21″) six-panel game board. Board is no longer double-sided; the rocket dice side has been eliminated. Ore cubes are a marbleized (almost pearlescent) plastic. Fuel tokens are now translucent plastic. Remastered and redesigned rulebook.Do you have what it takes to be a deep space colonist? 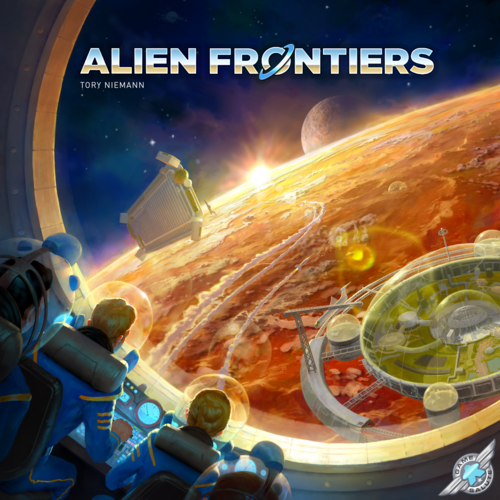 An alien frontier awaits the brave and daring! This new planet will be harsh, but if you have the skills to manage your resources, build a fleet, research alien life, and settle colonies, the world can be yours.